iPhone is the world’s most selling smartphone. The iPhone has got many extra ordinary features in it, which are not there in other smartphones. Whenever it comes to the smartphones, the first gadget that comes in the mind is Apple’s iPhone 4. The popularity of the iPhone gets easily cleared from the sale behavior of this gadget. Actually it has become the important part of life. There are many things which make the iPhone to stand top out of the rush of smartphones. The operating system iOS is on which the iPhone is based is very good and the touch response is also very good. Well, talking honestly all the hardware features are not the reasons which make it best smartphone in the world. It is the availability of wide variety of apps for the iPhone which makes it better than the best. There are millions of apps in the Apple’s store, i.e. iTunes. There are applications related to the several categories such as Games, Fun, Health, Education etc. The apps come in both the paid and free versions. Due to the large rush of apps in the iTunes, it has become very difficult to choose that which one is right for you. That’s why I decided to create this post, in which I am going to write about the best apps for the iPhone. This list includes both the paid as well as the free apps and is created in no particular order. So lets have a look on the best apps for the iPhone. The no.1 social networking site Facebook, is no.1 here in top apps for iPhone as well. The Facebook’s official app for the iPhone has many good features in it. 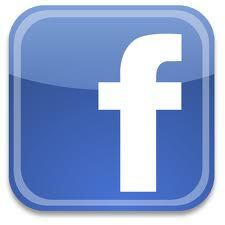 You can check messages, notifications, news feed and can also post status update to your Facebook wall as well. Actually this app has got all the features to give you the desktop type experience of Facebook, while on the move. Having his app installed on your iPhone, you can stay connected with your friends on Facebook always. 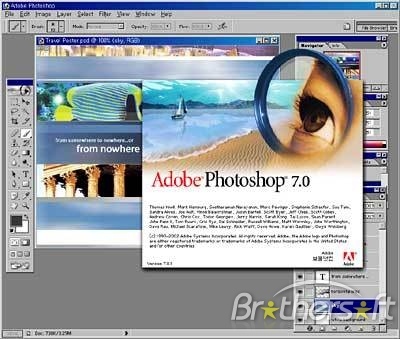 The most popular image software for the desktop is also available on the iPhone as well. The one for the iPhone has got all the features which turn into a perfect image editing tool. You can modify any image with this software. You can add extra effects to your friends pictures and make to look it funny and thus can enjoy some happy moments. This is the must have app for all the photography lover iPhone users. The Panorama shot is very famous capturing mode. The PhotoSynth app for the iPhone makes it even better. The PhotoSynth has got many features in it, which expands the limits of panorama capturing mode. The great features of this app and simple user interface make it one of the best photography apps for iPhone. Taking Panorama mode photographs by using this app, is really a great fun. The next good app for the iPhone is Run Keeper, which is related to the health category. By having this app you can use GPS facility of your iPhone to keep track of your cycling routine. You can easily keep the track of the amount of calories burnt. The Run Keeper is very good app and can help you in maintaining perfect health for you. This app comes in tow versions, one is “free” and other is “pro”. The free version has some limits in it and to overcome these limits you need to purchase the full version. For all the health conscious people, it is the must have app on their iPhone. WebMD is also one of the best health related apps available for the iPhone. This app comes in the free version and you can use it to get some health related tips. If you are suffering from signs of some disease, but don’t know what this disease is ,then you need not to go to Doctor, as this app can tell you clue about the disease, you are suffering from. It will also tell you the ailment of that particular disease. Not only for the normal man, but it has got many good features and useful tips for the health professionals as well. In case of any emergency, you can use this app to get some tips. This is the must have app for every iPhone user, as you don’t when you are going to suffer from any bad health situation. If you ever use the internet for the chatting purposes, then you must be familiar with this app. Skype, the popular video chat service is available in the iPhone with all the features. By having this app installed on your iPhone, you can have voice and video chat with your friends easily, while on the move. If you are one of those people, who love to go for the movies in every weekend, then this app is must, must have app for your iPhone. This app keeps you updated with the latest films name and the Cinema’s name on which that particular film is running. The best feature of this app is its search facility, which allows you to search for any particular film name and then get the suggestion of nearby cinemas. You can also filter the search results, with most favorite cinemas and can get the results according to it. This one is really going to all the ladies. This is a popular iPhone app, which is filled with the plenty of recipes. This app loads the recipes from the popular recipes website, Allrecipes.com. This app becomes important when you don’t know to cook anything. The recipes are uploaded the users and you can take reference from the recipe to make special dish for you or your family. The name spinner is because of the filter name, which is there in the homepage of allrecipes.com. This app is a paid app and you need to make investment to use it properly with all the features. If you are a woman or love to cook new dishes, then use this app on your iPhone and turn it into a cooking trainer. Converting your iPhone into the virtual piano and then creating new tunes by just simply touching the screen has always been fun. Plenty of apps are there in this category and the one which is best is Tone Pad. After installing it on your iPhone, you will be able to turn your iPhone into virtual piano in no time. You can also save the tones, that you create with this app. All the music lovers there,, this app is waiting space on your iPhone. The official Twitter app is also one of the best app for iPhone. The official Twitter has got simple user interface. The features are not too good, as you get more feature in other non official Twitter apps, but using the official ensures safety from any spam or virus. This app allows you to post tweets in your Twitter account, check messages and retweet the tweets of the people you follow. For all the Twitter users, consider to have this app in your iPhone. The popular desktop software, the Google Earth from Google, is available for iPhone as well. It has got all the features, that are there in the desktop version of Google Earth. You can check out the satellite view of any country you want. By having this app installed on your iPhone, you will be able to carry the globe in your hand. The no.1 search engine of the World Google.com has its own app for the iPhone smartphones. The app gives quick access to the Google search feature. So in case you need to search something in a hurry, then this app can really prove useful for you. Not only the text search feature, but the Voice Recognition system is also the part of this app. To access the voice recognition you don’t not iPhone Siri, you can use it without the Siri, as the voice recognition is the part of the Google Search app itself. Thetrainline is the app related to travel and very useful for all the travelers, specially for those who mos0tly travel by train. This app keeps you updated with the schedule of your train. You just need to specify your route in this app and it will show you all the trains running on that particular route along with the time details. So by having this app on your Android, you don’t need to go for the Railway station to get the info about the trains, as your iPhone can do all these stuff for you and that also while sitting at home. Google Translate is one of useful apps for iPhone, which comes into use daily. Google translate is a great service from the search Giant Google, that allows you to convert from any language to any other. You can access all these features on your iPhone by using this app. This becomes more important, when you come across the website published in other language, the language which you cannot understand. You can also get the meanings of any language in your Mother Tongue language. This app become more important to have on your iPhone, of you are a student. The importance of the smartphones become half without the internet and as we all know the internet become half without the Wikipedia. Wikipedia is the world’s no.1 free online encyclopedia having knowledge of almost all the topics of the world. So accessing Wikipedia daily, is very important to get new and free knowledge. The Wikipedia app for the iPhone can make this work easy for you. You can download the app to your iPhone to get faster access to world of free knowledge, Wikipedia. This is must have app on the iPhone of every user, as the knowledge is the thing, that is useful for everyone. The Opera Mini is the most popular browser for the mobile phones. The Apple’s iPhone comes with Safari browser as pre-installed browser, which is far better than the opera mini. But in case you are stick to simple interface of opera mini or AT&T’s network collapses, then the opera mini is the first and only best alternative to the Apple’s Safari browser. The faster web page loading is the feature, that you get with this popular mobile browser on your iPhone. There are many times when you want to synchronize data between the iPhone and your computer. A large no. of apps are there in this category for the iPhone, but the best one is the Dropbox. Dropbox allows you to access the content of your computer on your iPhone easily. You can also download the content for the offline view. The popular app for the Android smartphones is also the part of the iPhone as well. The XE currency is the best app to get the currency conversion rates on your iPhone. The app has list of the currencies of all the countries of the world. You just need to select the input currency, and it will show the conversion rates of that particular currency to all other currencies. This app is useful for all the people, but becomes even more important for the people who are in Import-Export field. There are plenty of weather related apps there in iTunes which are available for iPhone. But the one best out of them is the Weather +. This app has got tremendous features in it and is the no.1 way to stay updated with the weather details of your locality. Not only your locality, you can also check the weather details of any country and city you want. You can even check the forecasts position and humidity of your area. This is one of those apps, which each iPhone user must have on his/her iPhone. The Gmail app for the iPhone is the best and fastest way to check your gmail inbox. The official Gmail app for the iPhone has got many good features in it. You can check your inbox, check chat records and also can send the emails and items to others while on the go. Like the Gmail, the email service Hotmail has also their own official app for the iPhone users. The Hotmail official app for the iPhone, offers all the features that you get in the desktop browser based Hotmail, allowing to check your inbox and to compose email messages to others, while on the move. Amazon is the no.1 online shopping website in the world and their official app for the iPhone is also a very popular app. The official Amazon app comes with all the features, that you get on the desktop type Amazon. By using this app, you can check the latest listings on the Amazon from your iPhone and can also add the items to your cart from your iPhone itself. This app is going to please the iPhone users, who love to use Amazon for the shopping purpose. By having this app in your iPhone, it ensures you to never miss a deal on the Amazon. Like the Amazon, the other popular online shopping site has also their own official app for the iPhone. The eBay for the iPhone has got very good features for the buyers, allowing them to check the latest listings, scanning the bar code to check if there is any other seller who is offering the same product at the lower price. The eBay iPhone app has good features for the sellers as well and it allow them to make the listings of their product, while traveling as well. Pinterest is the fastest growing website and has achieved a tremendous success in the short period of time. The Pinterest is all about organizing the images of your interest and then sharing it with the others. The official Pinterest app for the iPhone allows you to take the pictures from your camera and then upload it directly from your iPhone to their boards. Using the Pinterest official app on the iPhone, makes it very easier to use the Pinterest fast and quick. If you love to search for the good images on the internet, then you must be familiar with this popular image sharing website. Their official app for the iPhone has got all the features, which are there in the browser based desktop type Flickr. This app allows you to upload the image to the Flickr account directly from your iPhone and also allows you to surf the images shared by other users. The popular messenger, the WhatsApp messenger is also very popular messenger for the iPhone as well. This messenger allows you to sign in from the various accounts. So by having this single app on your iPhone, you can keep login to all of your chatting accounts and can stay in touch with your friends. This messenger becomes even more important for those who love to chat with their friends online. The official BBC News app is also very good app to stay updated with the news of the world. You can stay in touch with “What is happening in the World”. The official BBC News app for the iPhone is perfectly designed to give you access to latest news on BBC website, in more fast and quick way. All the news lovers there, this app is very useful for you and deserves some space on your iPhone. This app is related to the property marketing. There are plenty of apps there in the iTunes related to this category. But the Zoopla is best without any doubt. The simple user interface and better search filter stands it top on the list of other property related apps. The best feature is the local market sale, which search for the property nearby you and that also in the local price. Evernote is iPhone app which expands the productivity area of iPhone. The app allows you to use your iPhone as documents desk, which can be used to save the new docs. There are plenty of such apps are available there for iPhone, but the cloud based feature of the Evernote makes it unique and best out of the rush of the similar apps. The cloud based feature allows you to save your evernote data and then make it accessible from any other version of Evernote, by simply logging into your account. The converter plus is a great utility app for the iPhone, which offers some basic but very useful facilities. It is an all in one calculator and converter, which can convert any system unit to the other. For some basic calculations and unit conversions, you must keep it on your iPhone. IM+, the popular chat client for the Android smartphones is also there in the iPhone as well. This has got same awesome features, which it has for the Android. The IM+ is a proper chat client. In Fact is multiple chat program which allows you to sign in to different chat clients in the single time. For all the people who love chatting online, it is recommended iPhone app. If you want to accept the credit card payments from your iPhone, then Square is the app, what is made for your use. When you register for their services, then a tiny card reader is sent to you by the company to you. The hardware component is plugged into the headphone jack and as soon as you connect, you become able to start accepting the credit card payments. This app is very useful for all, whether it is small business owner or big business owner. The MyFitnessPal is the best calorie counter for the iPhone. Due to the growing pollution day by day, the health diseases are also increasing So it has become very important to take care of your health to enjoy a long happy life. The health related apps for iPhone can do the health task for you and MyFitnessPal is one of the best health related apps for iPhone and the best calorie counter. The simple user interface of the app makes it very easy to use. The proper and correct results for your health are the best features og this app and which make it best out of the lots of calorie counter for iPhone. If you are health conscious, then you must have this app installed on your iPhone. Pandora is radio app for the iPhone, that plays the songs, which you love to hear. You just need to tell this great app about your interest and you will get the results, only according to your taste. The app comes in both and free version. The free version shows the advertisements. You can also purchase the monthly services, of you don’t like the ads. Otherwise in the free version you will have to compromise with the ads appearing on it. With TED app installed on your iPhone, you get the perfect food for the growth of your mind. This is the best app to make your brain more sharp. By using this app, you get a chance to talk with the clever people, which results in opening new ideas in your mind. You can save the talks and can listen them, whenever you want. There are plenty of apps related to the camera of iPhone. This one is probably the best out of them with its great features. You can customize the pictures taken by you, with this cool app. You can extra effects and funny effects as well to your friend’s pictures and can enjoy some funny moments. This app is really going to please all the music lovers. The app is becoming more and more popular day by day. The sound cloud has a huge amount of sound and audio clips in their database, that you can listen online. You can even record your own voice or sound and then can upload it on their database. If you love to watch videos on your iPhone, then this app is for you. The HuHu plus is video player for the iPhone. There are plenty more such apps in the iTunes available for the iPhone, but this one is the best. It gives awesome quality of videos over the 3G and WiFi connection. Not only this, the app has also the ever growing and continuously updated database of TV shows. But by using this app, you will have to compromise with the commercials, that comes after regular interval of time. The commercial breaks even come if you pat he subscription fee as well. Netflix is one of the best online video streaming service fir the iPhone users. Using the service is also not any complex task. Just download and install the NetFlix app to your iPhone, pay the subscription fee of Netflix and start enjoying the online streaming of movies, music videos and T.V. shows form their huge database. This app is very useful for the sports lovers. Having this app installed on your iPhone, you can easily get the latest score updates of your favorite sports, directly on your iPhone. So you will stay updated with each and every moment of your favorite game. As the iPhone has got the apps for all the categories, the bloggers are also blessed with the good blogging related apps for iPhone. One out of them is Blogger. The Blogger is official app by the free blogging platform “Blogger”. This is must have app for all those bloggers who are running their blogs on this platform. The Blogger app for iPhone has very good features in it and allows you to save the notes, reply to comments and make some minor changes to your blog, while on the move. As the Blogger has its own official app, the other popular blogging platform “WordPress” is not less than it. The WordPress has also its official iPhone app, which has got very good features in it. You can add notes, manage plugins, edit the posts, reply to comments while on the go, by using this app on your iPhone. For all those bloggers, who are running their blogs on the “WordPress”, this app must be there on their iPhone. Google Analytics is the no.1 way to check the stats of your blog. It gives you brief overview of your blog’s visitors. Now you can enjoy this service on your iPhone as well, by installing the official Google Analytics app for the iPhone. The app for the iPhone has got all the features that you get in the desktop client. By using this app you can track your blog’s performance, while on the go and take the necessary steps in the blog’s favor. If you love to read the magazines and all the online content such as the online blogs or online newspaper, then Instapaper is the app that you must have on your iPhone. There are many times when you do not get the time to read all the info written in a blog or newspaper in a single instance, this results in the loss of that remaining info. But by having this app on your iPhone, you no longer have to suffer from the same upset situation. You can save the blog’s post or newspaper easily by making use of the Instapaper app. The best thing about this app is that you can save all the content to your online account and then can access it from anywhere and anytime you want. The best iPhone app for the people who usually visit the other cities. Suppose you need to reach any particular place and you don’t know that what is the best transportation method to reach there, then this app can help you. Just enter the starting and end point in the app and it will suggest the best transportation method. There are many search filters as well, which you can use to get the best matching results for quick help. The foursquare is the location based social networking site and now you can use this from the Foursquare app for the iPhone. Using this app on your iPhone you can easily update your location and the next moment you start getting comments from the other users. The foursquare is complete fun and the database of 5 million registered users also reveal the same fact. Shop Savvy is the app to save your money on the online deals. This service is accessible on the iPhone via the app developed for it. You can check the best lowest price of any particular item and then can have the perfect deal by purchasing the item at the lowest price. For this, just pick up any random item, scan the barcode and this great app will come up with the list of price comparison. You can then check the list and make sure that you are getting the particular item at lowest price from your local store. Paypal is no.1 service for online transactions. You can use this service, via the official Paypal app for your iPhone. 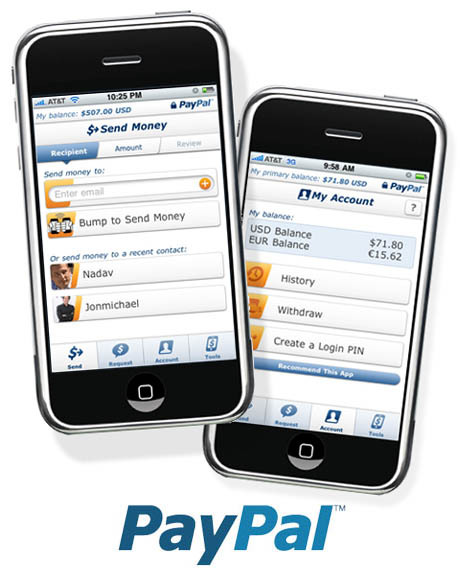 The iPhone Paypal app has got all the features in it and you can use this app to send and receive money in your Paypal account from your iPhone, while on the fly and that all with the perfect security. You can also the money from your Paypal to make payment to online shopping sites from your iPhone, by using this official Paypal app. For all the business persons, who need to go with the online transactions daily, it is must have app, which deserves space on your iPhone. So it was the list of some top apps for iPhone. The list is created without following ay particular order and the apps listed here are related to all the categories. Also the list contain both the paid as well as free apps, that you can get from the Apple’s app store i.e. iTunes. If you feel that we forgot to mention any top iPhone app, then please send your suggestions via the comment box. If you like this post, then please consider sharing it with your friends on the social networking sites. For any question regarding this list of “Top Apps for iPhone”, please do let us know about it by dropping your valuable comments in the comment section below.